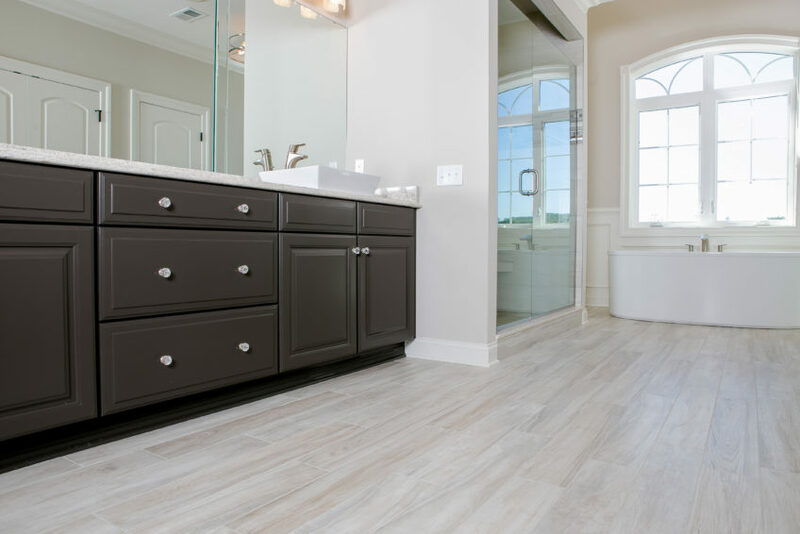 From small updates to complete overhaul, a bathroom remodel can add a lot of value to your home– but before you start tearing up tile and picking new cabinets you need to have a plan. Working with a professional to create a design plan may sound pricey, but in the long run could end up saving you a ton. The consultants at 84 Lumber Kitchen and Bath Design Studios are here to help you get the best design for your budget. Flooring and backsplash are two places you can really make a big, bold choice to spice up your space. For inspiration, check out our Pinterest boards. Don’t replace the whole toilet. Consider just replacing your toilet seat and lid. Find a vintage vanity at a consignment shop, yard sale or salvage yard to create a custom, one-of-a-kind piece. 3. When you find a tile you like, check Craigslist and eBay to see if anyone is selling their leftovers.